BOOM! 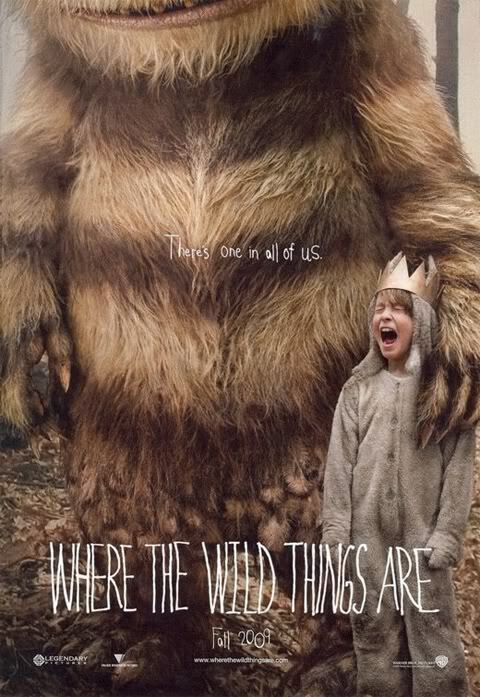 Where the Wild Things Are poster! SMASH! 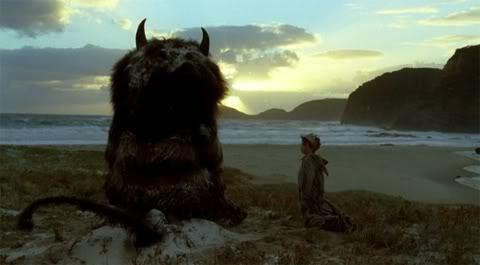 Where the Wild Things Are trailer! Crap blog (not crap enough to stop us stealing their news) Chud.com reported the other day that, according to ‘an insider source’, the first trailer for WTWTA would go out in front of Monsters vs Aliens. Whether this will be the case in the UK or not remains to be seen, although considering that MVA is out in the states a week before it is here, the Wild Things trailer will probably show up on the internet before then anyway. Not a teaser, full 3-min trailer, scored to ‘Wake Up’ by Arcade Fire (it fits beautifully)… Try as I might, I can’t verbalize how I felt about the trailer beyond the most grandiose superlatives: ‘beautiful’ and ‘gorgeous’ and ‘breathtaking’… The environments in particular (there’s a sequence of cutting between 4 shots of Max running through different environments that is absolutely magical) are a work of incredible vision, especially in light of the production methods Spike opted for. Extra marks for referring to Spike Jonze on first name terms. KABLAMMO! Where the Wild Things Are release date! 16 October 2009 in the US. 11 December 2009 in the UK.